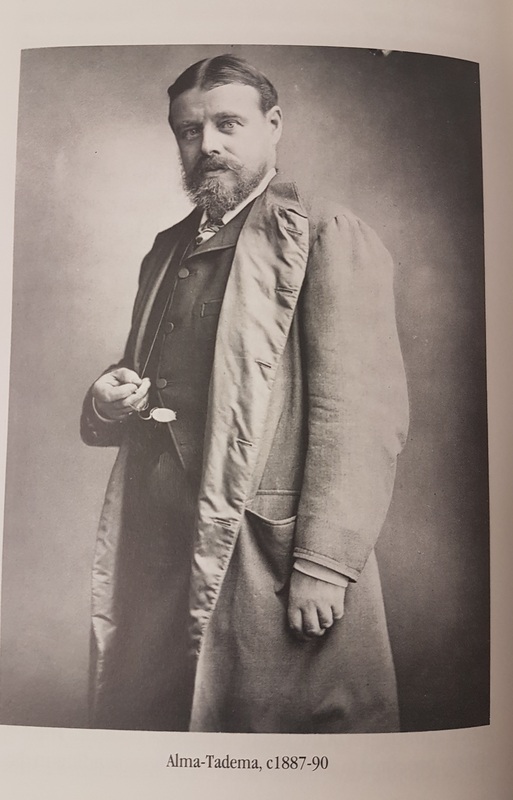 Recently Westminster Reference Library was contacted by Leighton House Museum who were about to hold an exhibition of the works of Sir Lawrence Alma-Tadema. They were contacting us to ask if they could borrow from our Art and Design Collection a copy of the catalogue raisonné of his paintings to ensure the information they were presenting was as correct as possible. Whilst normally books from this collection are reference only and therefore not available for loan, given the nature of the request we decided to make an exception. Catalogue raisonnés are descriptive catalogues of works of art with explanations and scholarly comments. But to bring some life to this brief sentence I thought it might be nice to show you why the museum was keen to borrow the work and exactly what you get. This catalogue raisonné starts off with an authoritative biography of Alma-Tadema before proceeding into the nitty gritty. But, invariably the text details exactly what you need to know about each piece: the title, the style of work, the size, the provenance, what exhibitions it has been in, if it has been included in texts and of course a detailed description of the work itself. This entry was posted in Arts & culture, Books, Westminster Reference Library and tagged catalogue raisonné, leighton house museum, Sir Lawrence Alma-Tadema, Vern G Swanson, Westminster Reference Library. Bookmark the permalink.